Kids splashing around in a wading pool, 1972. 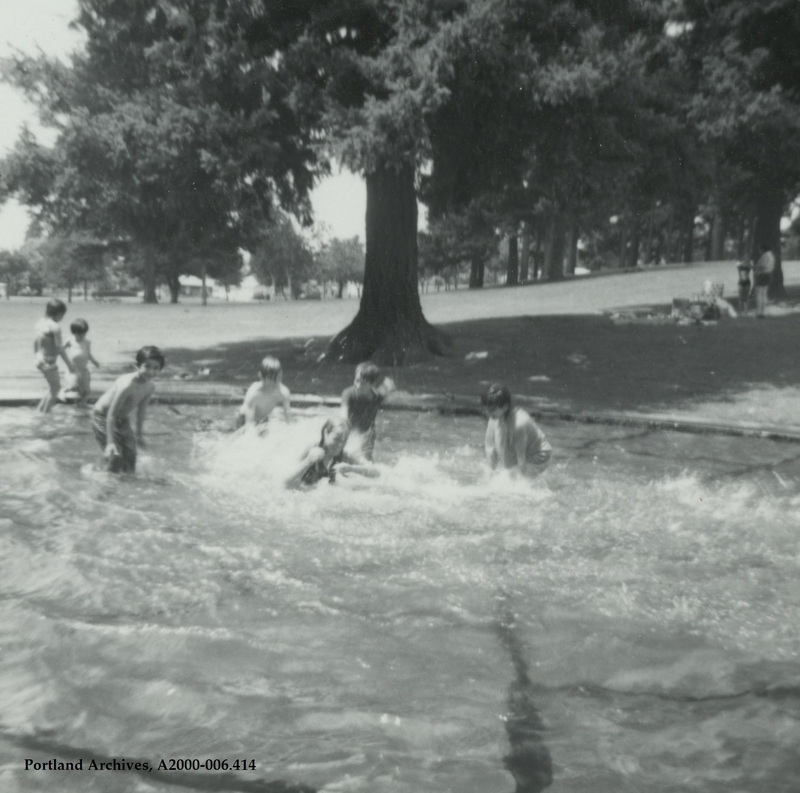 Can anyone tell us where this wading pool is located? City of Portland (OR) Archives, A2000-006.414. 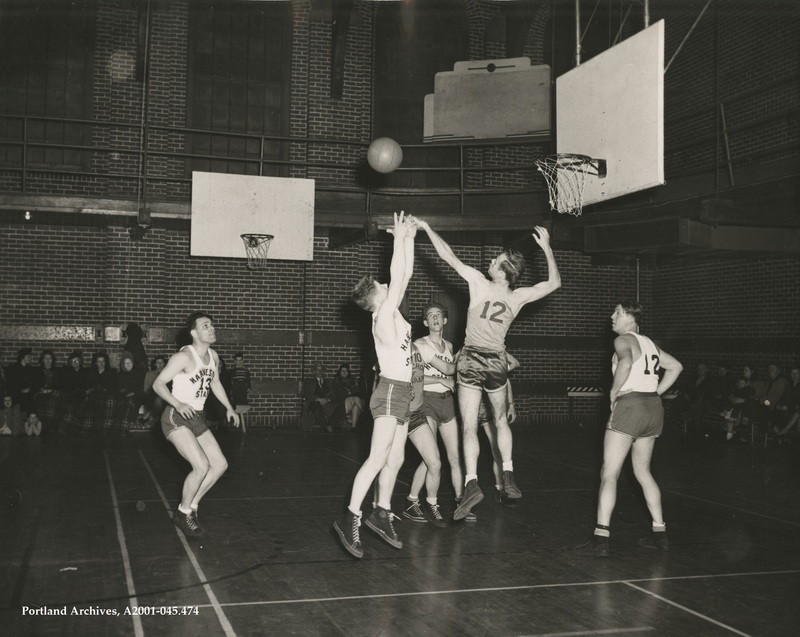 This image of a basketball game comes from the Parks and Recreation publicity photo series, circa 1950. City of Portland (OR) Archives, A2001-045.474. 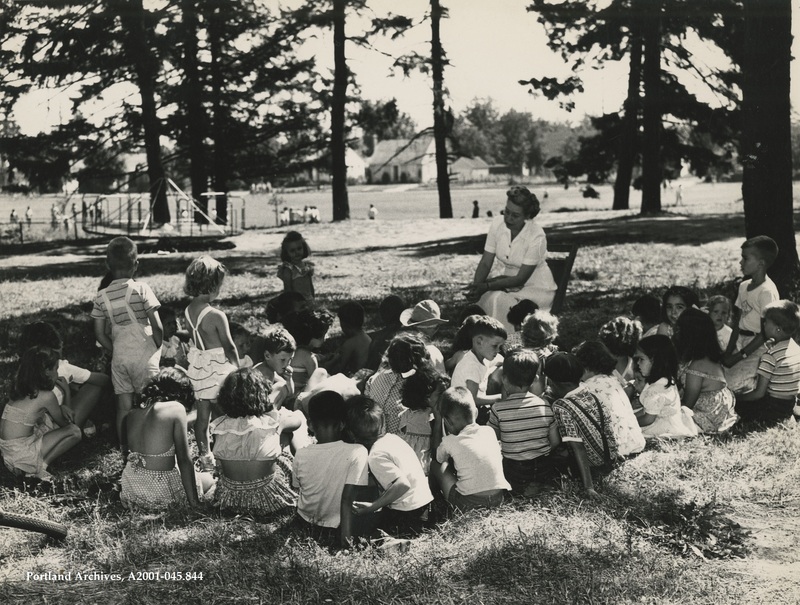 Storytelling in the park, 1953. 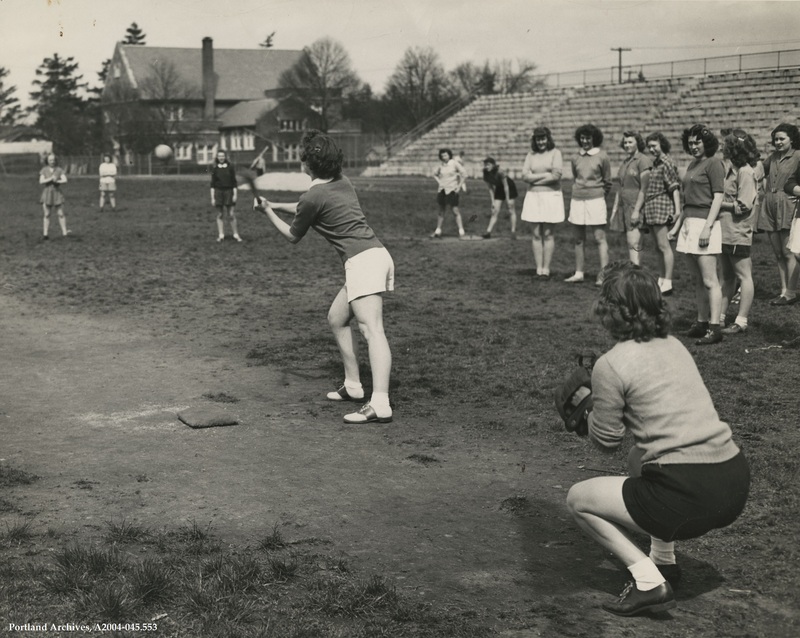 Can anyone identify which park they are in? City of Portland (OR) Archives, A2001-045.844. 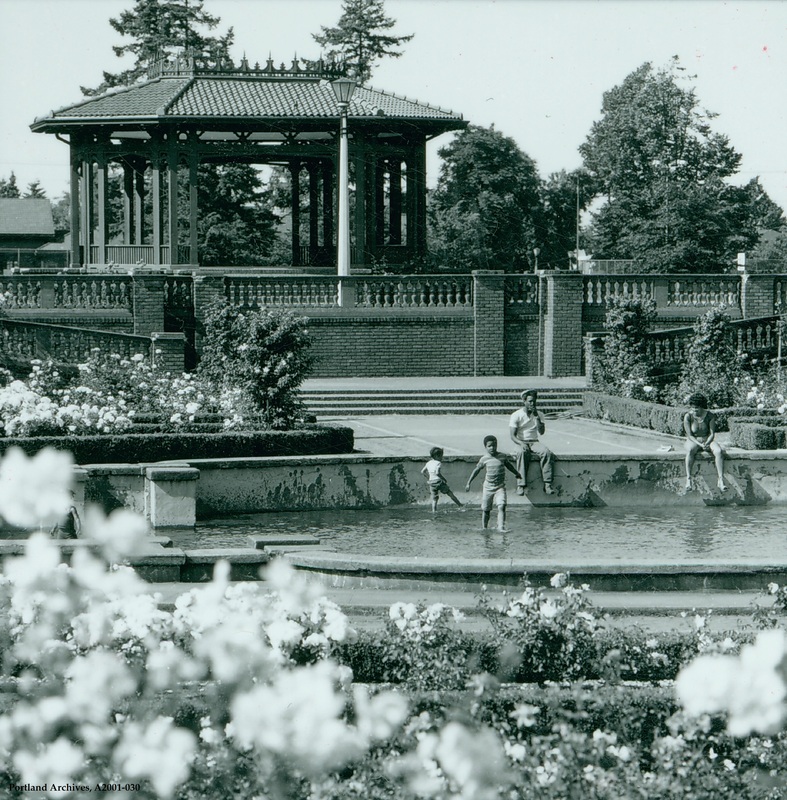 People wading in the Rose Garden Fountain near the Peninsula Park gazebo, 1979. 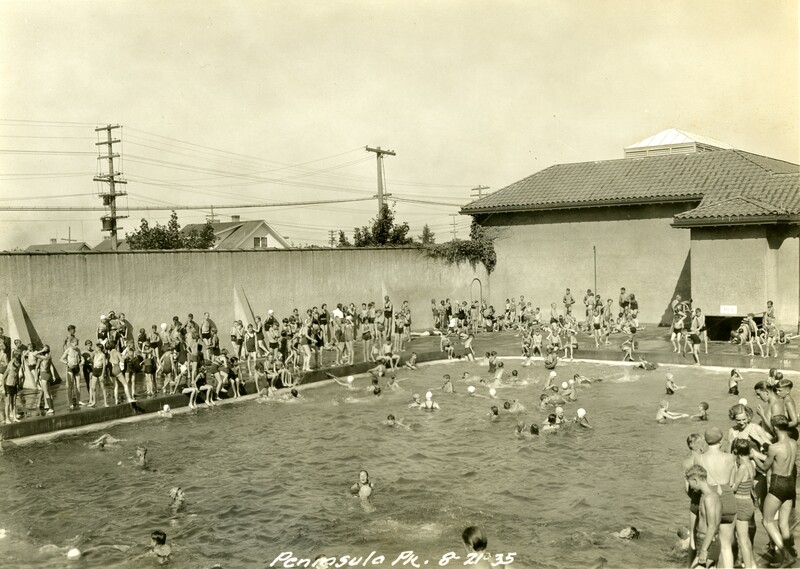 Children in the pool at Peninsula Park, 1935. 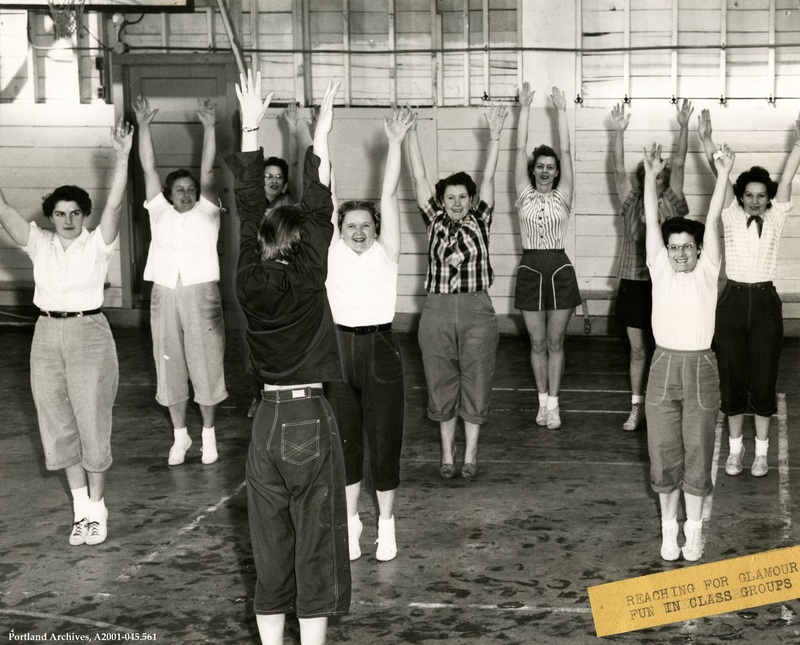 This series of images was taken to document the Park Bureau’s recreation programs.